It’s officially 2019, and while the celebrations may be winding down, the fun has only begun! That’s because for many people around the world, this is a time to start fresh and commit to conquering new goals. Still pondering your New Year’s resolutions? Don’t fret—resolutions aren’t all as soul-crushing as dusting off the old treadmill… In fact, New Year’s resolutions can be inspiring, exciting, and something you look forward to accomplishing. Better yet, they can be good for you and the environment! Before you call “BullShark,” consider the stressors that continually threaten coral reef health… Many of these stressors are the result of anthropogenic degradation (that means human-created, or degradation WE are responsible for). The start of a new year is a perfect opportunity to highlight the many ways (both small and large) we can each help protect coral reefs for years to come. Add one, some, or all of these tips to your New Year’s resolutions and make 2019 a year for the reefs! As a planet, we’ve produced more plastic in the past 10 years, than we did during the entire last century. Over ½ of the plastic gets used once and thrown away—much of which ends up in the ocean. To put that into perspective, enough plastic enters the ocean each year to cover every foot of coastline in the world FIVE TIMES. How many bottles can you count in this picture? This picture represents roughly one twenty-thousandth (1/20,000) of the plastic bottles purchased EVERY MINUTE around the world. Do your part to reduce this number, by eliminating single-use plastics. Single-use plastics are plastic items that are used once and then disposed, such as shopping bags, water bottles, straws, or produce bags. Not only do these create a lot of waste, their production takes a huge toll on the environment, as well. Plastic production generates 6 times more CO2, by weight, than resulting plastic end-products (i.e. for every 1 kg of plastic, 6kg of CO2 are produced and released into the atmosphere.) Plastic’s environmental impact continues long after their disposed; new studies found plastics release methane and ethylene (two major greenhouses gases) when exposed to sunlight. Bring your own bags and take away containers when buying groceries, dining at your favorite restaurant, or out shopping. Buy in bulk— avoid products with excess or individual packaging. Many grocery stores allow you to bring your own containers to fill with spices, nuts, flour, and more! For those of you who live near the water, take initiative and help keep your coastal area clean! A simple resolution is to “Take Three For the Sea” – a.k.a. pick up three pieces of trash every time you’re at your local waterway. * If you want to take it a step further, grab some friends and host a local beach cleanup. Fun with friends and great for the environment — win-win! Think one person can’t make a difference? Look at Resolution #1. By picking up and properly disposing of trash, you stop the cycle of environmental degradation, and help prevent causing further harm to marine life. “Take Three for the Sea” means to pick up three pieces of trash every time you are at the beach. What a quick and easy way to help protect our coral reefs. 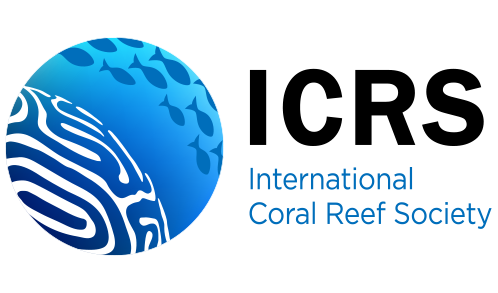 Contact your local, regional, or national officials and inform them of ways they can address coral reef degradation, or overall environmental protection! Not sure what to say? Brush up on what other cities or nations are doing to address ocean conservation and plastic pollution (e.g. National Geographic keeps a log of international plastic legislation, here: https://www.nationalgeographic.com/environment/2018/07/ocean-plastic-pollution-solutions/). That way, you’ll be armed with suggestions for tangible changes your officials can make. Depending on your legislation, you may be able to contact them over the phone or email. Otherwise, you can spread awareness for coral conservation by actively participating in community conversations and inspiring others to become marine stewards. Can you think of any other reef-friendly resolutions? Let these three resolutions as a starting block – there are many other ways to reduce your direct and indirect impacts on our coral reefs! Kindly declining plastic bags at the grocery store, chatting over beach-cleanups, or brainstorming with local’s in your community are all great ways to spark conversations about how we can all reduce our environmental impact in 2019 (and beyond)! Next What is Ocean Acidification Really Doing to Coral Reefs?